Home / Automotive / News / Mercedes Amg Gt3 Limited Edition Is Highly Exclusive! As a 50th birthday present to itself, Mercedes-AMG has created this exclusive AMG GT3 Edition 50, that features a whole lot of unique characteristics. The car is limited to just five units and appeals to racing enthusiasts and car collectors that want to stand out on the track. The Mercedes-AMG GT3 is one of the most successful customer sports racing cars in the world. The AMG is distinguished by a special paint finish, combined with a new 'real black' colour found on the 50 Years AMG! The matte black finish also features on the carbon-fiber elements of the car, including the front and rear diffuser, rear aerofoil, air intakes, and side skirts. An open performance exhaust system had also been added without a resistor to ensure optimised performance and a lot more noise. The interior of the car also features some exclusive details. With a matte black carbon fibre dashboard, door panels, vent pipes and centre console and contrast silver have been used for the six-point seatbelt and racing steer wheel. 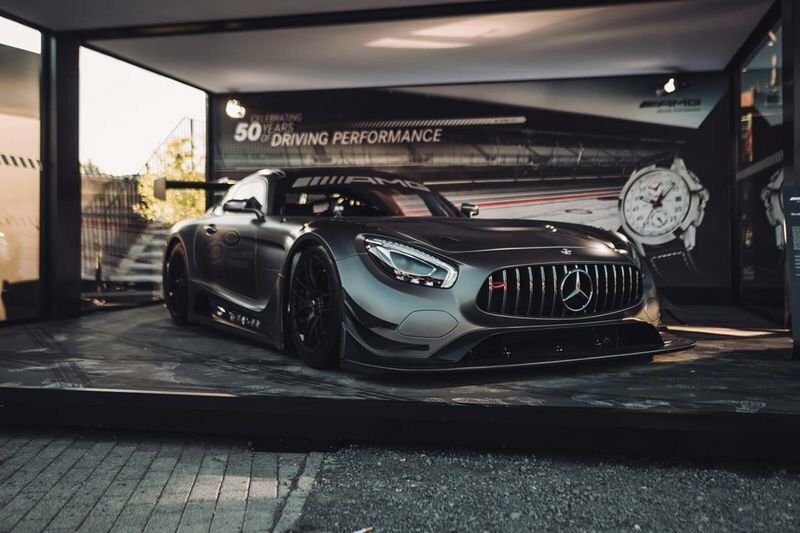 Based on the standard AMG GT3 race car which itself is based on the AMG GT sports car, Edition 50 is powered by a 650-horsepower version of the brand's 6.2-Liter V8 and if you can afford it, the car's price has been set at €500,000.